A comprehensive examination of the enigma of the Templars and their lost treasure based on original source documents. 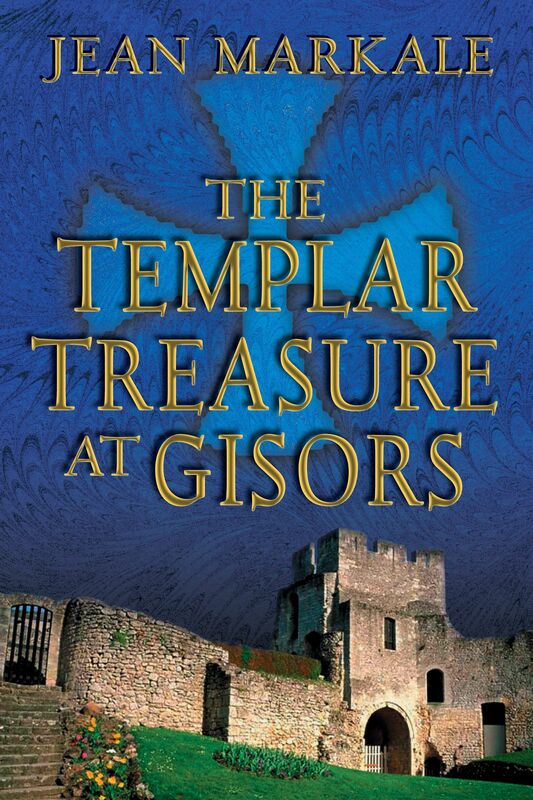 • Considers the possibility that the medieval castle of Gisors hides the Templar treasure. • Examines all the evidence for a secret order within the Templars, whose heretical ideology brought down the wrath of King Philip of France. When French King Philip the Fair ordered the arrest of the Knights Templars and the confiscation of their property in 1307, the Templars were one of the most powerful forces in Europe, answerable only to the Pope. It was also one of the richest, despite its knights' vow of poverty. Yet not a penny of their immense treasure was ever found. The hunt for this lost treasure has centered on a number of locations, among which is the medieval city of Gisors, a site on the Normandy and French border that is honeycombed with complex underground passageways and chambers. Mysteriously, all attempts to discover what may be concealed in these subterranean corridors are rigorously discouraged by contemporary authorities. The enigma of the treasure is but one of the many unsolved mysteries concerning this order that continues to haunt our imaginations. Who were these "poor knights of Christ" who made denial of Jesus a requirement of acceptance into the order? What were their true purposes and what was the nature of their secret that drew the wrath of the king of France down on their heads? Was there really a treasure and, if so, what was it--material wealth or something more powerful, such as the Holy Grail or the secret to the philosopher's stone? Was there a secret order within the order that authorized the heretical practices for which they were condemned? In a search for answers to these and other questions, Celtic and medieval scholar Jean Markale goes back to original source documents in an attempt to clear away the baseless assumptions that have sprung up about the Templars and to shine new light on their activities. The great fascination explorers of the past hold for the Templars is that following the official annihilation of the order in 1314, they disappeared without a trace. The same fascination is held for the Druids, who melted into their natural surroundings following the Roman conquest. Under these conditions it is hardly surprising that from time to time souvenirs--real or imaginary--of both of these groups are found in the more obscure though abundant corridors of history. . . The interesting hypothesis presented by Gérard de Sède in Les Templiers sont parmi nous . . . is that Gisors is the place where the Templars buried their treasure and secret documents the night before their arrest. It is true that when the agents of Philip the Fair, on the morning of October 13, 1307, went to arrest the Templars and confiscate the property of the Temple, they found nothing--neither gold, nor precious vessels, nor objects of worship, nor documents of any kind. It is a valid assumption, then, that the Templars, who had been warned in advance about the date of the arrest, had been able to find a safe haven for what they most valued. This was a setback for Philip the Fair, who thought to take possession of not only the Templars' wealth--however much there may have been--but also of compromising documents that would have permitted a speedy trial of the Templars and a condemnation of the order not subject to appeal . . .
A tenacious tradition, apparently based on the document published by Gérard de Sède, claims that during the night before the arrest, heavy carts left the Temple of Paris in a westerly direction, toward Gisors, naturally, where their contents would have been concealed within a crypt of the castle whose location was known only to the Templars. In other words, the famous chapel beneath the keep [at Gisors] . . . is said to have contained the treasure and/or the Templar archives. Unfortunately, this ingenious theory does not stand up to analysis. . . So there is an impassable divide between what is known for certain and the claims that the Temple's treasure and the archives of the order were buried in a crypt beneath the castle of Gisors or in the Saint-Catherine Chapel (which, if you recall, was built two centuries after the disappearance of the Temple). The scenario is not without charm, but it has no relationship to either historical reality or archaeological evidence. . .
Gisors is the focal point of an inextricable tangle of probabilities, uncertainties, and suppositions. But it is also the crossroads and intersection of all the paths that might lead to a coherent explanation for the Templar mystery. There is not, or rather, there is no longer a Saint-Catherine Chapel. But the underground tunnels of Gisors certainly exist and they have never been entirely excavated. Furthermore, each time an entrance to them has been opened, it has been vigilantly sealed again?even to the extent of being filled with cement. For what reason? . . . We know that areas beneath the castle and beneath the church of Gisors have been excavated but have never officially led to any precise discoveries, and that no efforts have been made to enable these searches to reach a positive outcome. Is the reason for this to allow for any hypothesis on the treasure hidden in the basement of Gisors? . . . In an affair where the "almosts" sometimes have the value of certainties, why couldn't we indulge in a few word games? This practice was common during the Middle Ages, the time of the Templars, and was employed by authors of serious reputation. It was believed that in the underground passages of the castle lay gold [gisent ors], but this was incorrect. The Templars' treasure and archives, if they ever existed or if they still exist, lie outside [gisent hors]. It is perhaps up to us to discover in what part of memory they have been buried. The papal bull of 1312, which abolished the order, did not shy away from noting "the mysterious manner in which one is received into the order" or "the oath demanded of each of them to never reveal anything about their admission." There is a strong impression that the Templars, since the founding of the order, did all they could to encourage the doubt and mystery hovering over their activities, and this became even more pronounced as the order expanded. The well-known official rule specified certain cases in which secrecy was obligatory . . . This fierce desire for secrecy obviously excited curiosity and left them open to all kinds of criticism . . . But this interdiction against revealing chapter deliberations was justifiable, even if it became the source of so many fabrications. It is legitimate, however, to wonder why it was forbidden to possess a copy of the official rule without special authorization and why it was feared that the rule might fall into the hands of outsiders and possibly put the order at risk . . . Even more troubling is the interdiction against all Templars confessing to priests other than chaplains of the order or, in other words, the insistence that members confess only to priests belonging to the order and bound to it by the same obligations of secrecy. Another prohibition of the order that was difficult to comprehend and perceived negatively was that forbidding brothers from leaving the order. When one entered the Templars, it was for life . . .
"Markale goes far in bringing the Templars back to life with one of the most illuminating books on the subject." "I've never read such a complete, well documented, history of the Templars." "There's no doubt in my mind this is the most accurate book ever written about the Knights Templar."